We are excited to announce our latest sponsorship agreement – supporting the Australian Men’s Sevens Team for the Sydney and Hamilton HSBC World Rugby Sevens Series tournaments! The Sydney tournament, held over 26th – 28th January, was a huge success for the Australian Men’s Sevens team, defeating South Africa 29-0 in the Final, and breaking a six-year drought on the world series circuit. “We couldn’t be happier with this partnership and WorldFirst Australia will be proudly cheering the team on from both the side-lines and at home,” Managing Director of WorldFirst Australia, Ray Ridgeway said. This sponsorship is a great opportunity for WorldFirst to support an iconic Australian sporting team as they compete in two key legs of the global series and in return help boost its brand awareness in the sporting community across Australia and worldwide. 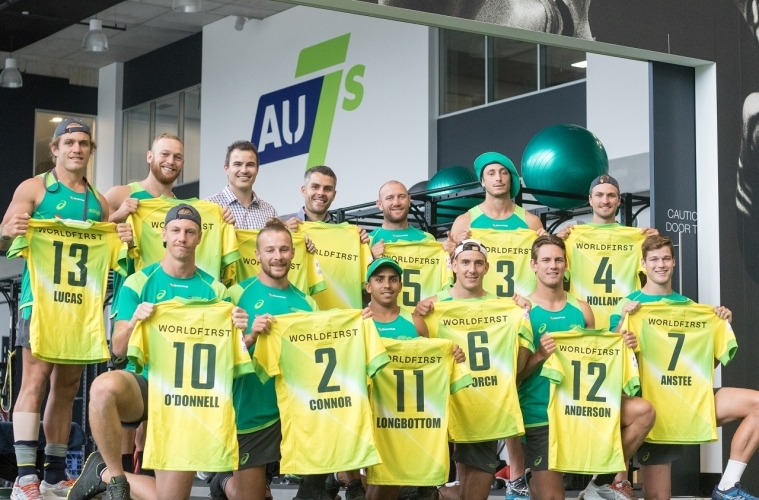 “We are extremely excited to have WorldFirst sponsor the Australian Men’s Rugby Sevens team. Sydney and Hamilton are two major tournaments in this global series and we are proud to have the world-class foreign exchange business, WorldFirst supporting our team on our journey,” Andy Friend, National Men’s Sevens Head Coach. Following the Sydney tournament last weekend, the Australian Men’s Sevens team will be heading across the ditch to Hamilton, New Zealand, where they’ll continue to battle it out with the world’s best. Keep up-to-date with the team’s progress on the WorldFirst Facebook page and offer your support.